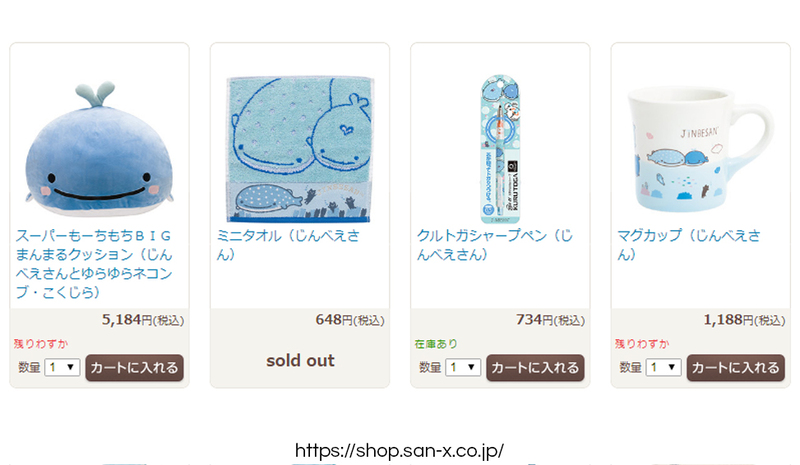 When it comes to cute, Japanese stationery company San-X knows what it’s doing. 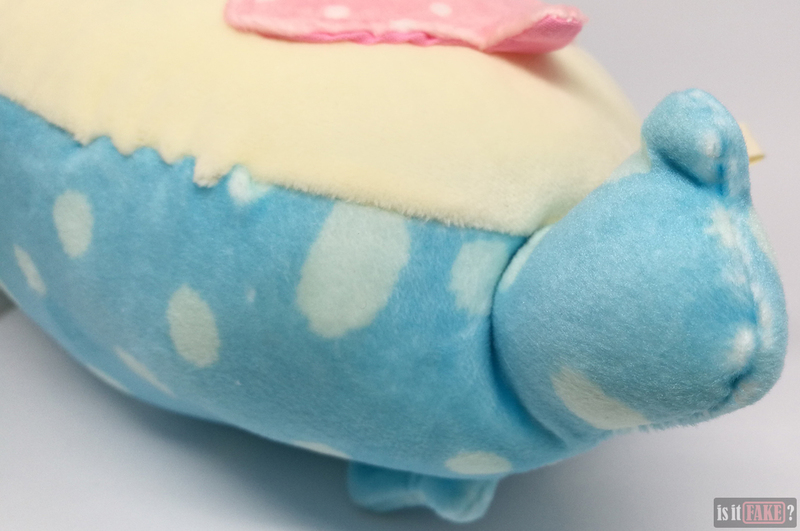 From Tarepanda to Rilakkuma, its anthropomorphic critters are so adorable you’ll want to reach for the closest soft thing and squeeze – whether that’s a pillow or someone’s arm. 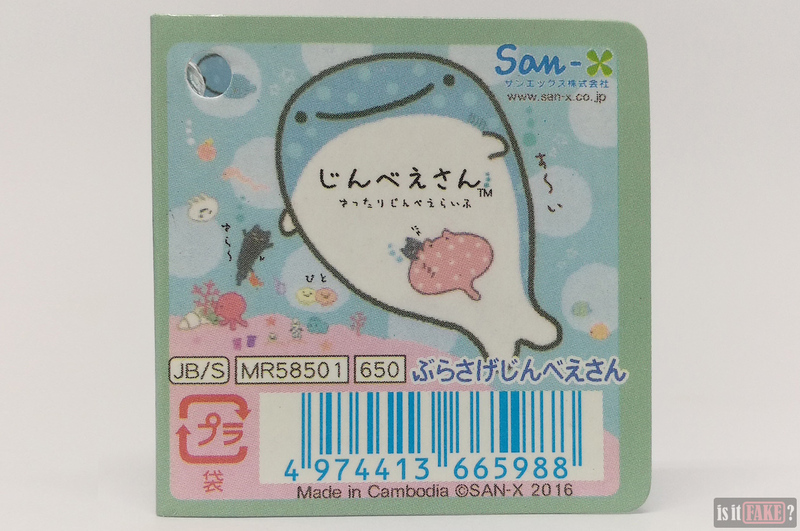 One of San-X’s most delightful characters is Jinbei, a whale shark so chill he often finds himself surrounded by an assortment of marine friends. When it comes to merchandise, the gentle giant is well-represented. 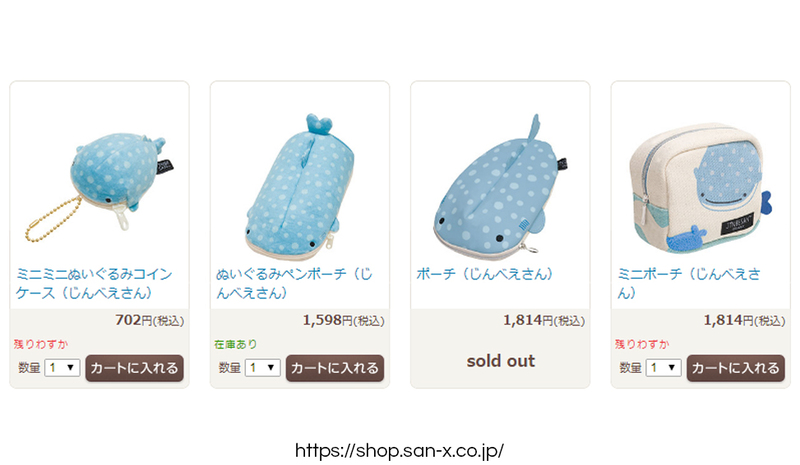 From pouches to mugs to stuffed toys, you can find a lot of Jinbei lovin’ on the San-X online store. 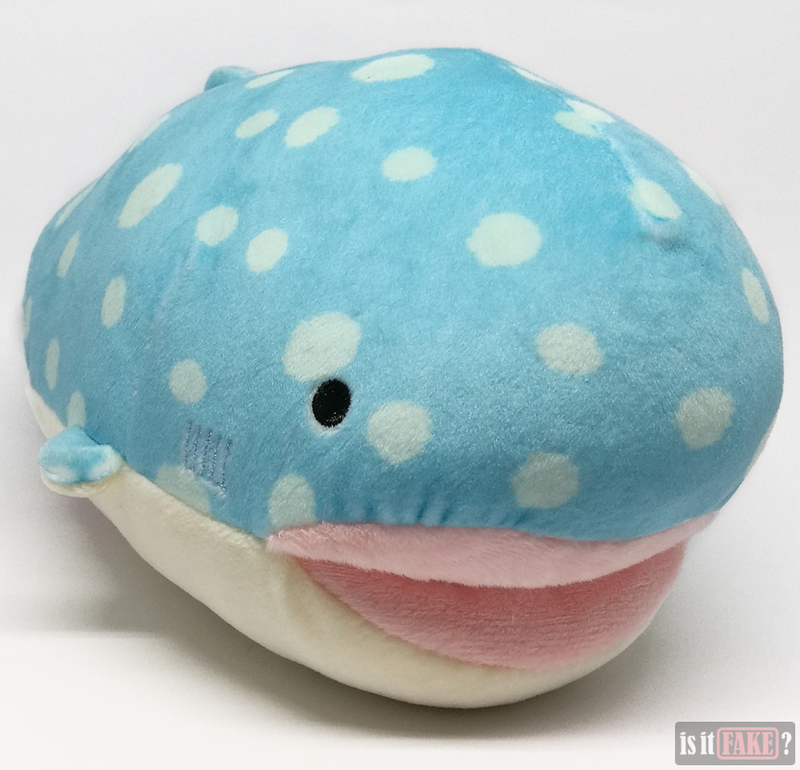 Unfortunately, you can also find a lot of fake Jinbei items elsewhere on the internet. And today, we’re going to discuss one such bootleg. 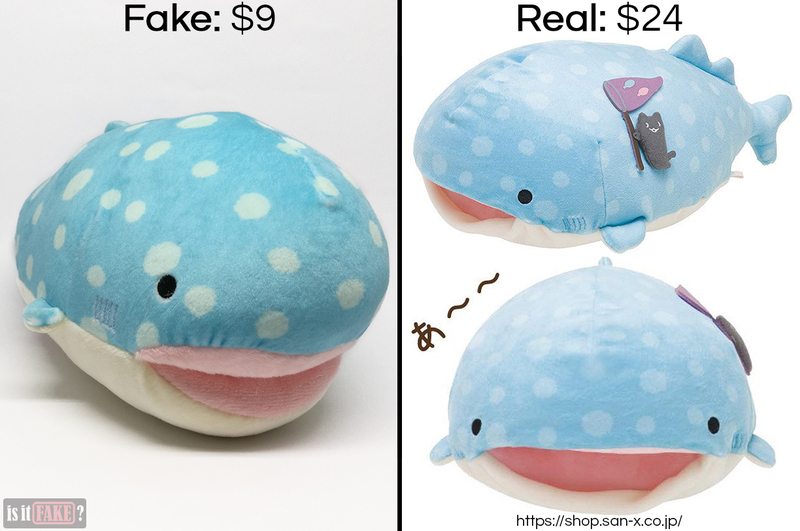 To those well-versed in what makes a product fake or legit, it only takes a cursory survey of AliExpress to know the online store is chock full of bootlegs. 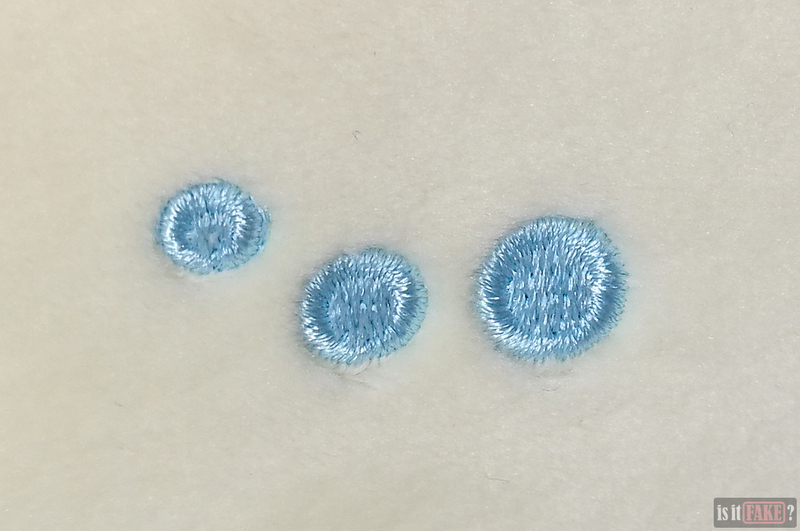 Sadly, AliExpress isn’t alone; many Chinese e-commerce sites are infamous for having cataloges brimming with illegally made products, from electronics, to apparel, to toys. 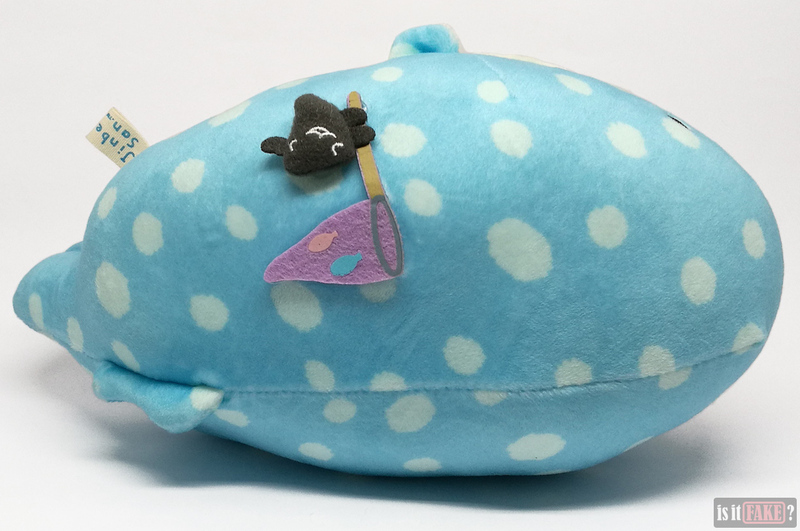 It was from AliExpress that we purchased this fake San-X Jinbei plush doll. 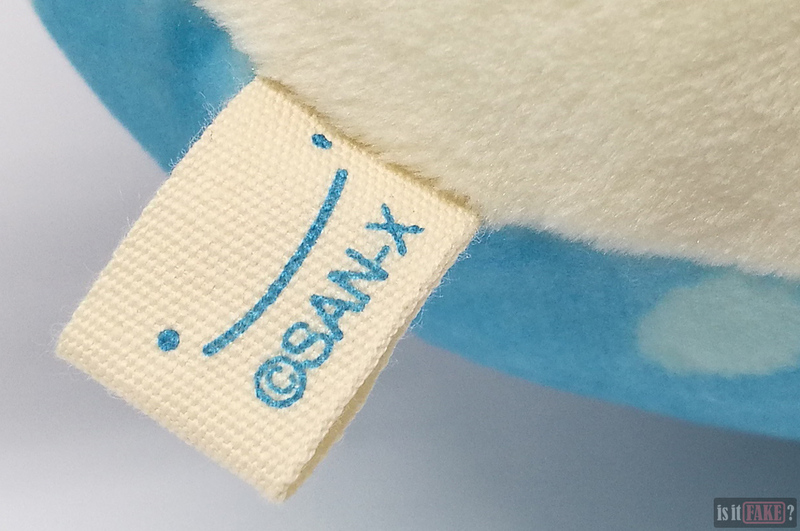 According to its seller, the product was manufactured by a certain “OCHGEP.” To say this is peculiar would be an understatement; as we mentioned earlier, San-X is the creator and manufacturer of San-X characters like Jinbei. If you’re eager to find find out who or what OCHGEP is, you’ll be in for a disappointment. There’s little to no real information about this manufacturer on the internet, save that they do most of their business on AliExpress. This alone should alarm you, given that legit businesses are typically none too shy about sharing information about themselves with the world. Of course, any scrutiny of an organization would be incomplete without a close examination of its products. 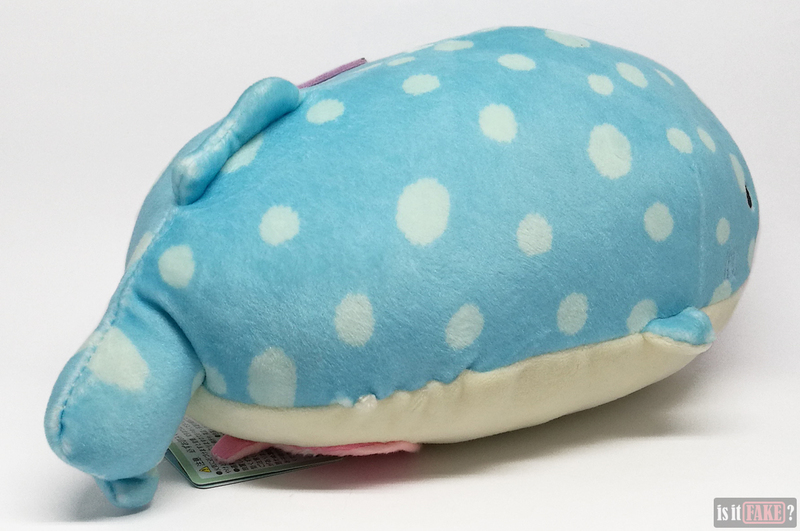 For this reason, we’ll now be reviewing the fake Jinbei plush toy in earnest. 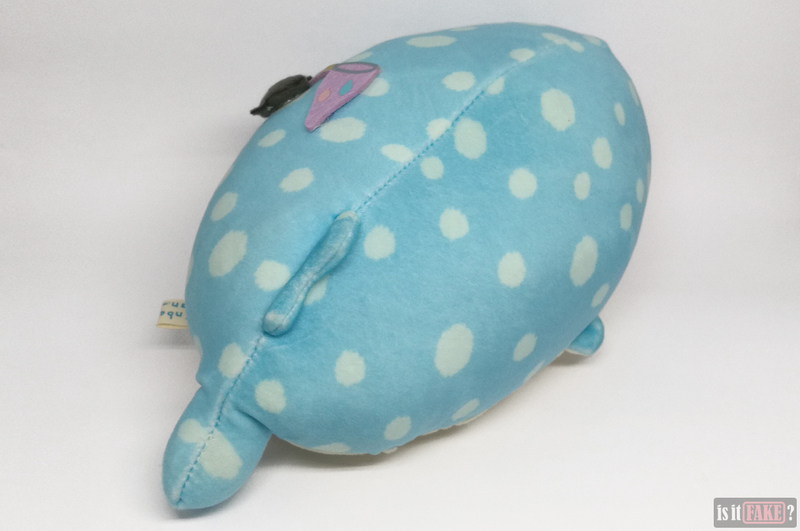 This fake San-X Jinbei plush doll came to us wrapped in plastic far too small for him. 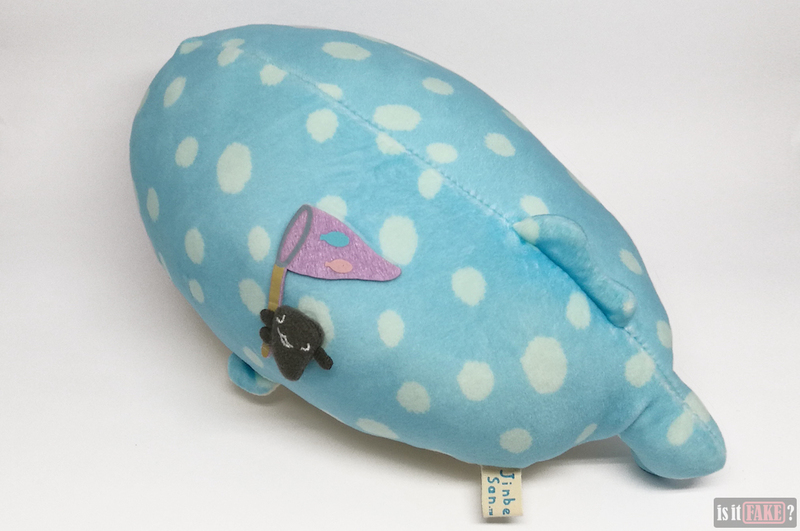 As a result, fake Jinbei ended up lumpy, twisted, and deformed. 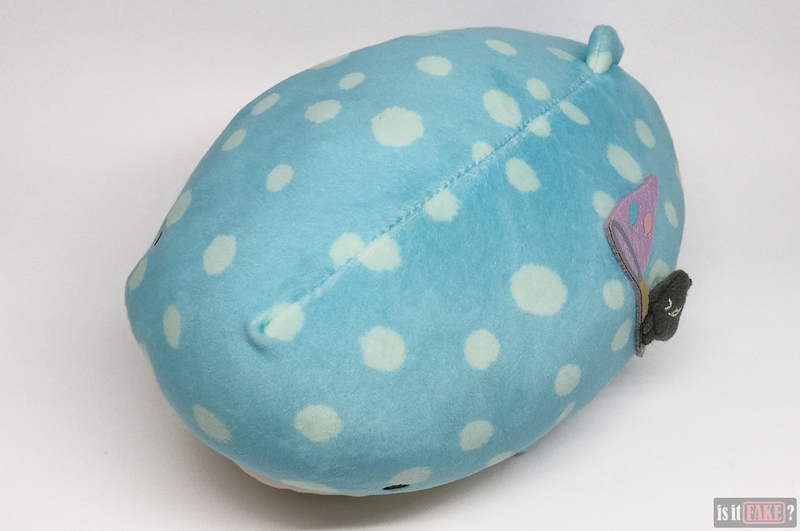 His entire body is lopsided, slightly squished on his right side and swollen on his left, as if all his stuffing is fighting to leave the former to congregate in the latter. As a result, he has a tendency to lean towards his left. 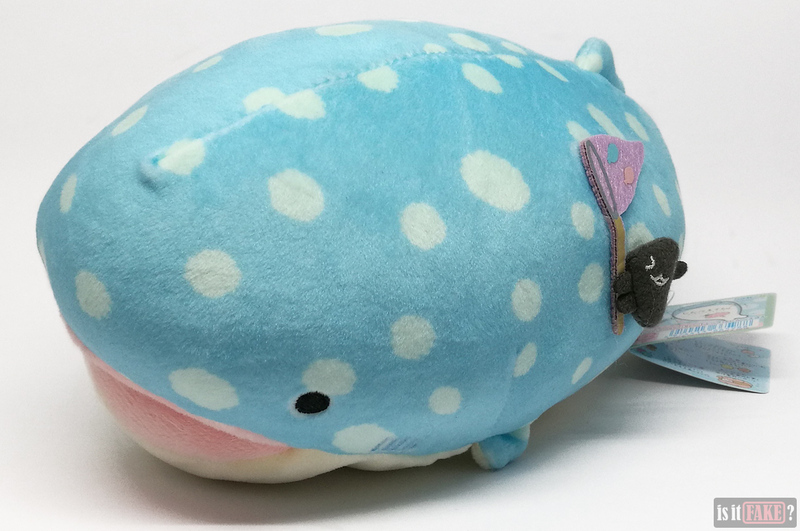 The asymmetry of his form is most evident in his head, which calls to mind the unfortunate Quasimodo rather than a whale shark. 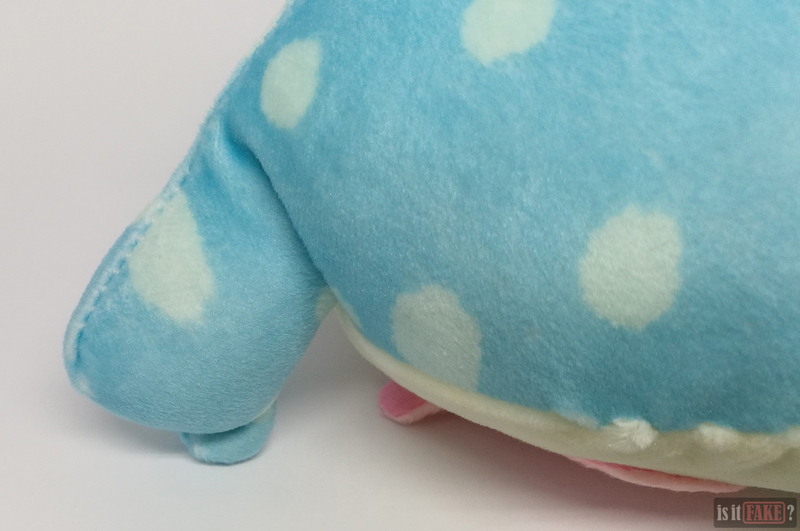 You can also see his “spine,” as represented by the seam on his back, is curved. 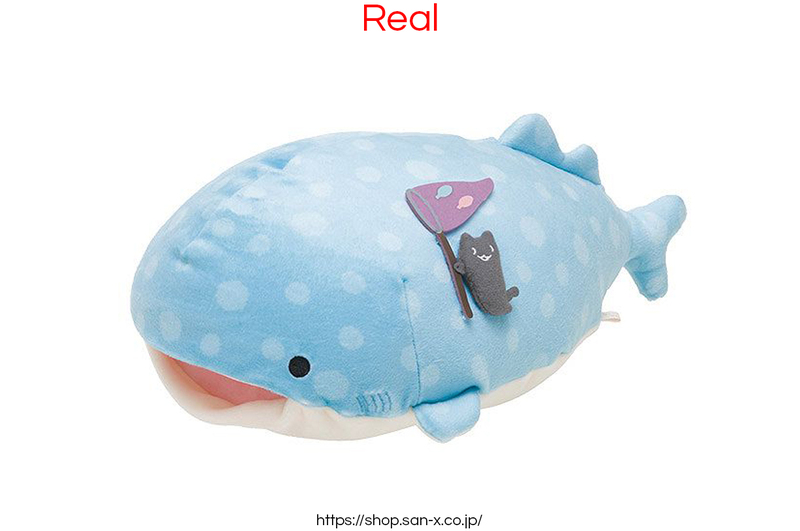 Now compare this fake to the official San-X Jinbei plush doll, which you can see below. 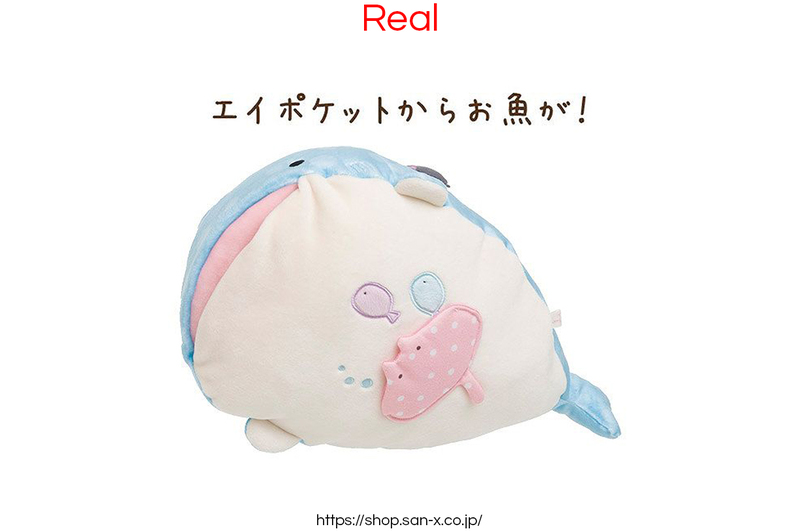 These images prove how the fake is a failed 1:1 copy of the real San-X Jinbei plushie. 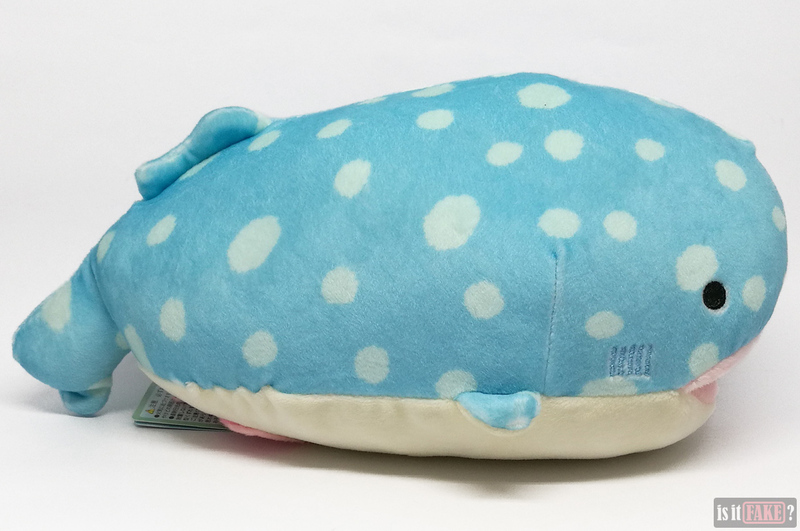 Lacking the fake’s unbalanced distribution of stuffing, the official Jinbei is well-proportioned and adorably rounded. 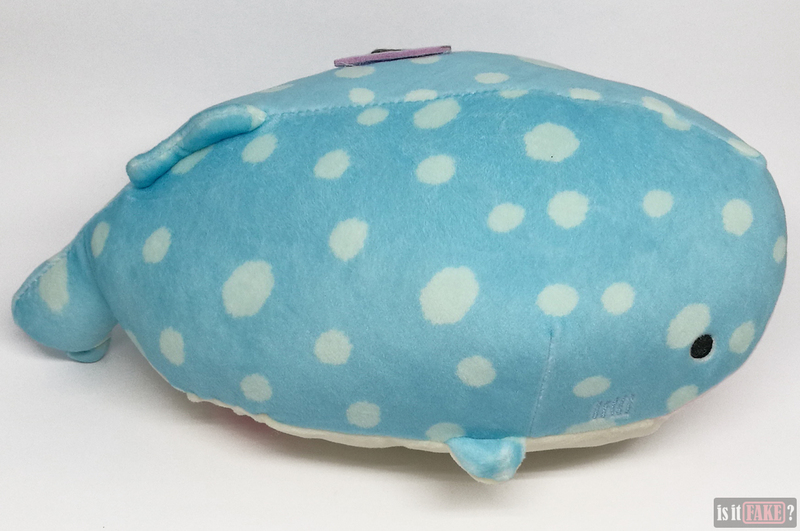 But even if fake Jinbei hadn’t been squished by ridiculously tight packaging, his shape would still be problematic. 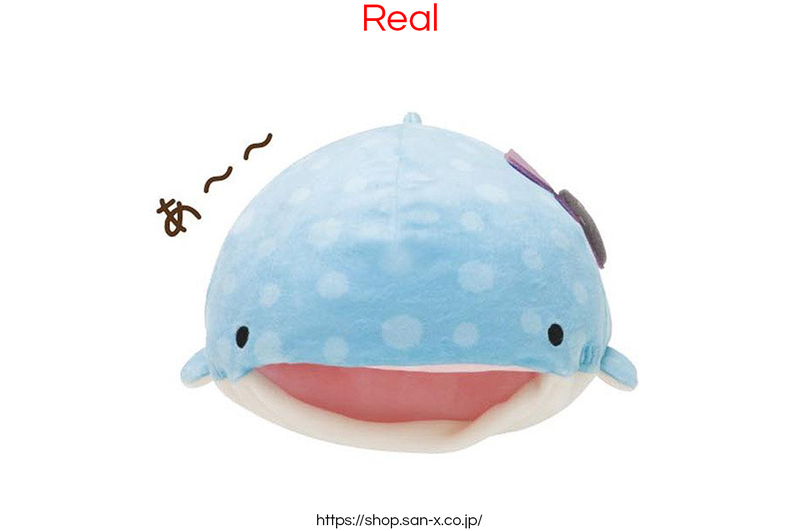 Fake Jinbei has a bulbous head, whereas the front of real Jinbei’s head is flatter and wider. 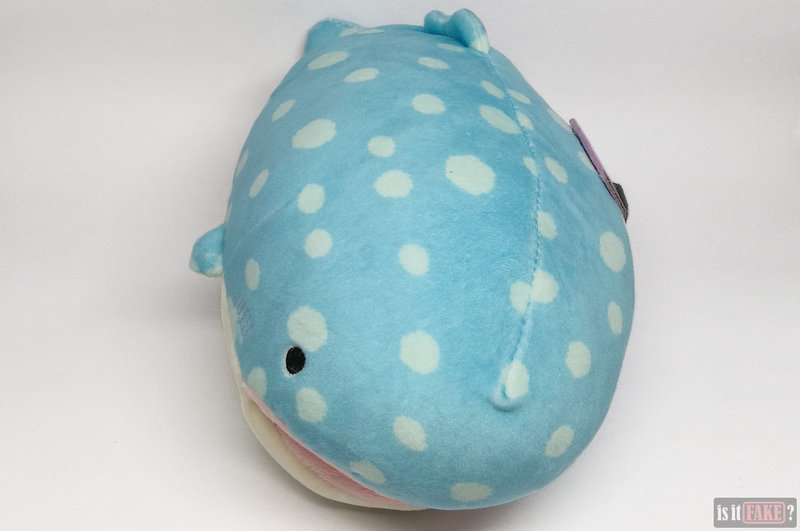 Fake Jinbei’s body is a chunky oblong, but real Jinbei’s body tapers off towards the tail to give him a tear-like form. 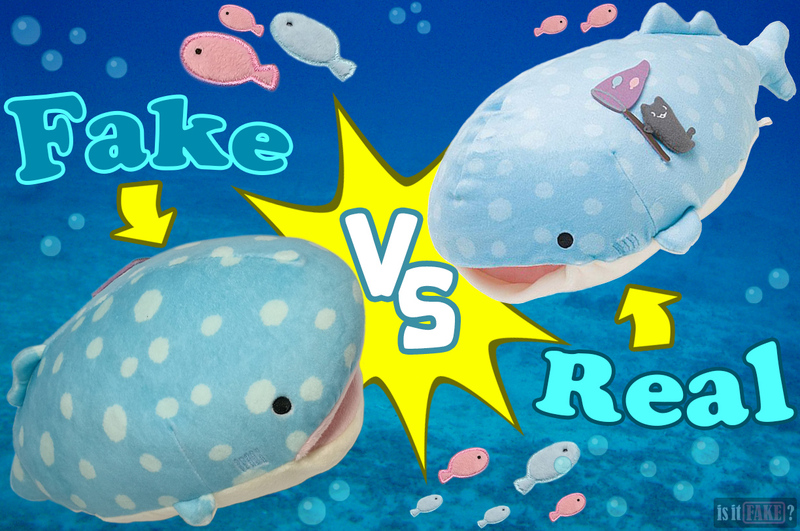 Furthermore, the differences go beyond Jinbei’s general shape. 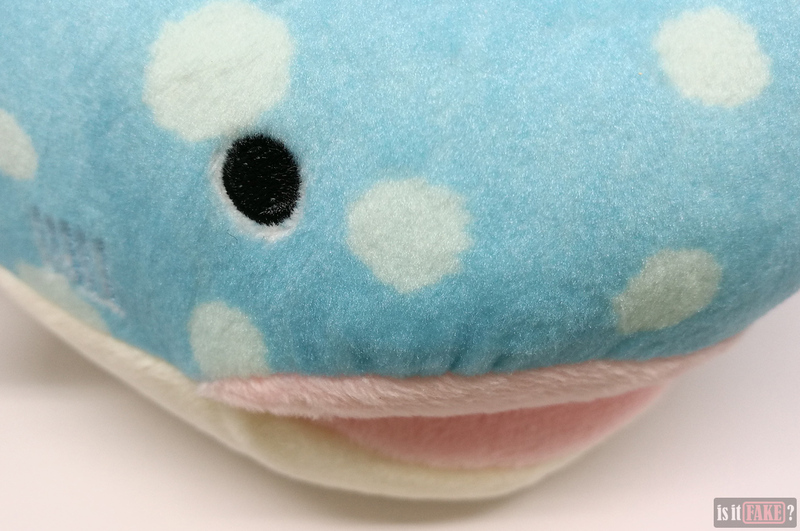 Real Jinbei’s mouth is shaped into a cute smile. 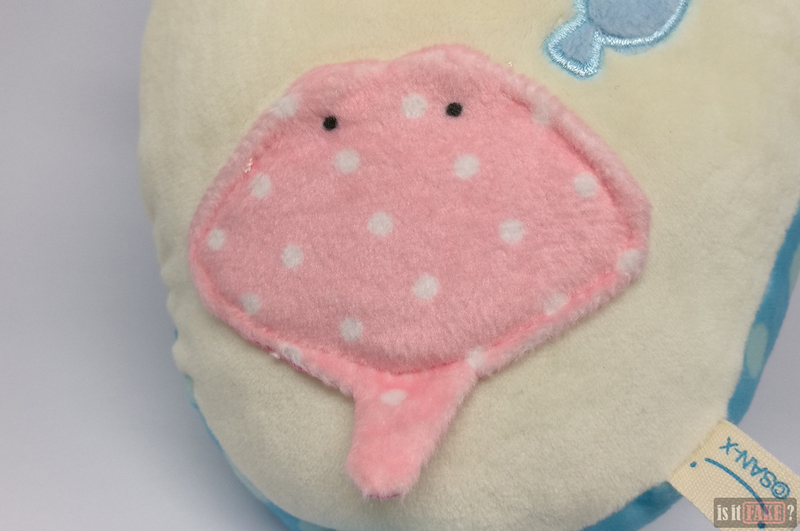 In fake Jinbei, the pink insides of his mouth are swollen. As a result, they don’t stay within the oral cavity, but spill outwards to resemble fat lips – as if he’s just been pummeled senseless in a boxing match. You’ll observe several other discrepancies. 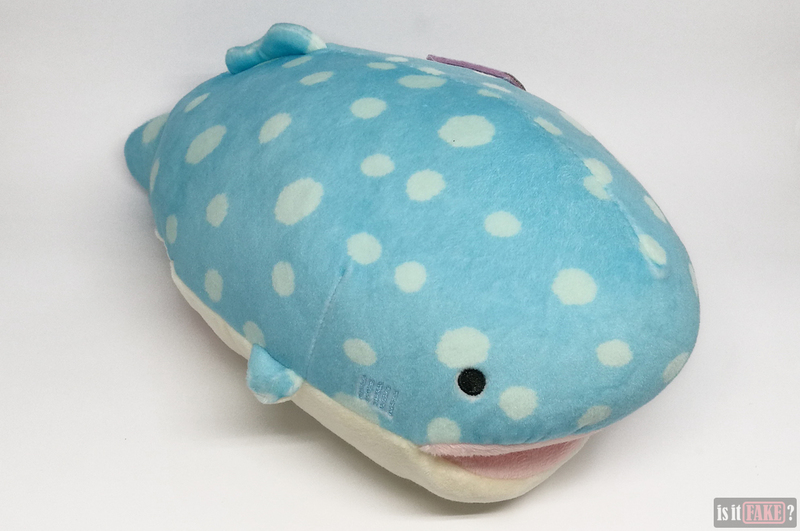 Fake Jinbei’s dorsal and pectoral fins are smaller and are devoid of the definition found in the official stuffed toy’s. 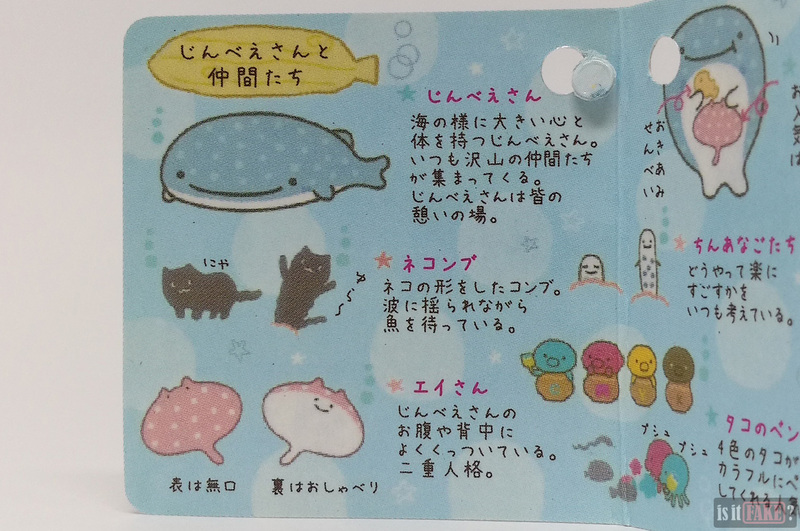 The black, flag-bearing cat on the fake’s left side is tinier, has a weird face, and is shaped like a pizza. 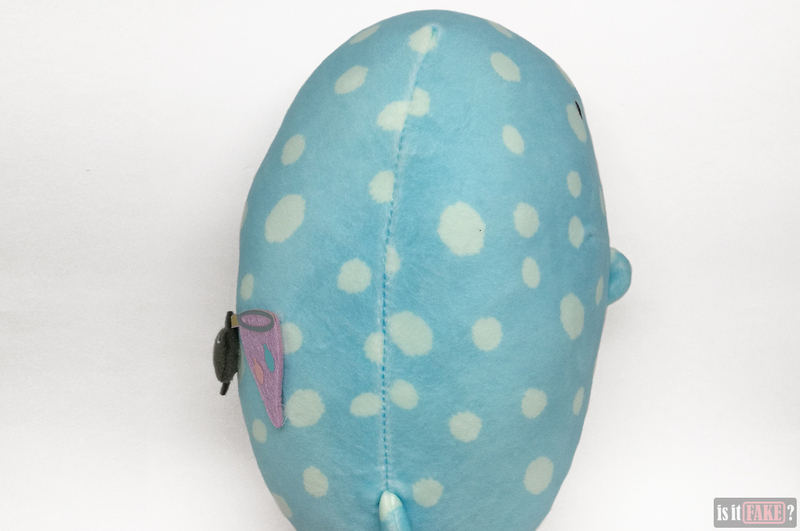 It also lacks ears and a tail, has one arm in the wrong place, and even boasts a third arm. 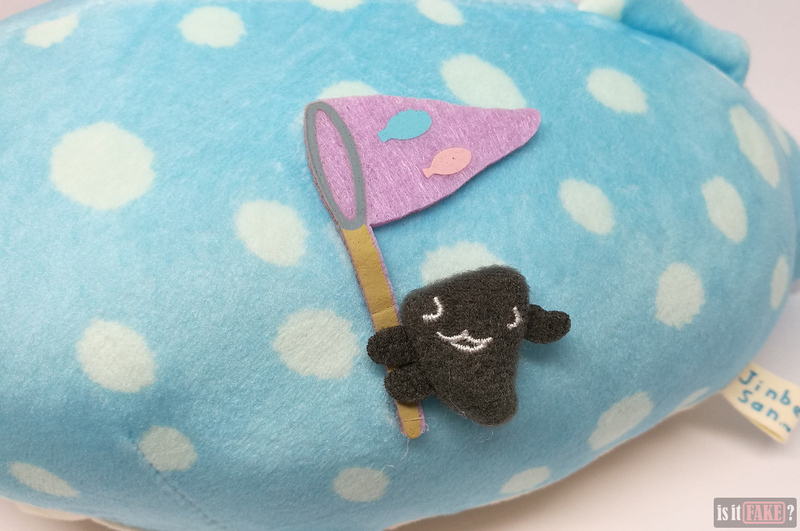 Speaking of creatures, the fish on fake Jinbei’s stomach are closer to his tail – the manta ray is practically latching on to his crotch! Said manta ray lacks the original’s cephalic lobes, and its pectoral fins are the wrong shape. 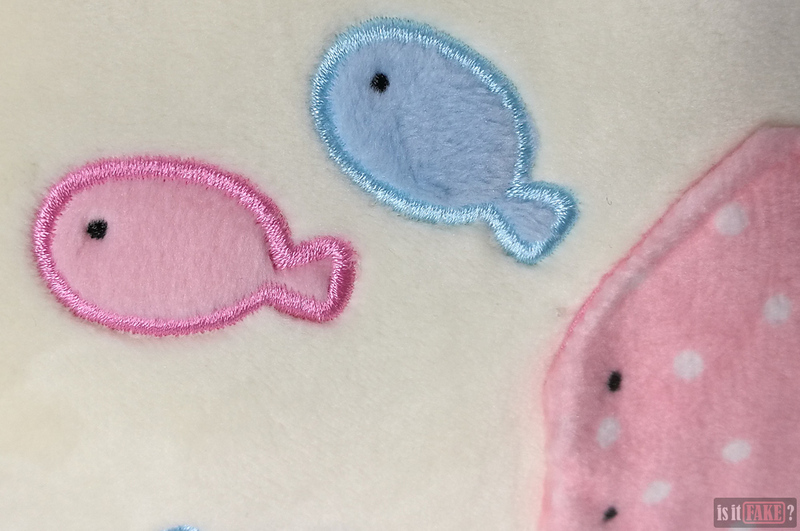 Additionally, one of the smaller fish is the wrong color; it’s supposed to be purple, not pink. 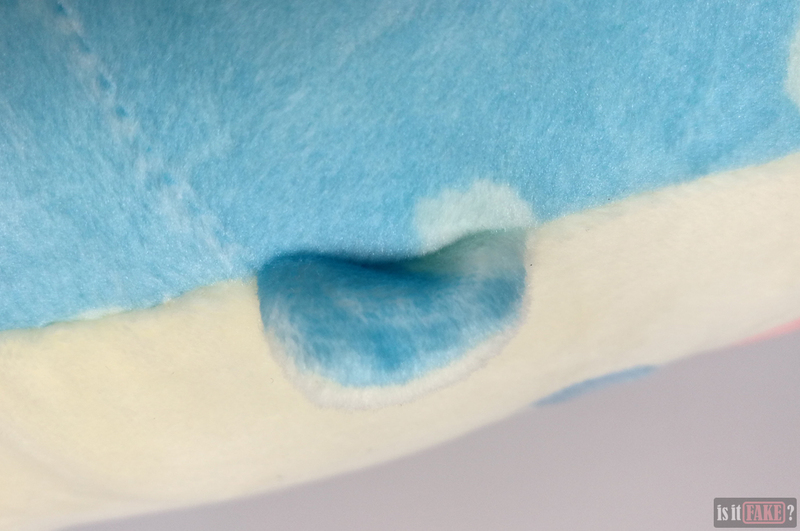 Fake Jinbei’s tail is a shapeless mess that’s forever drooping, in contrast to real Jinbei’s, which is erect and resembles an actual shark fin. Even the colors don’t match. 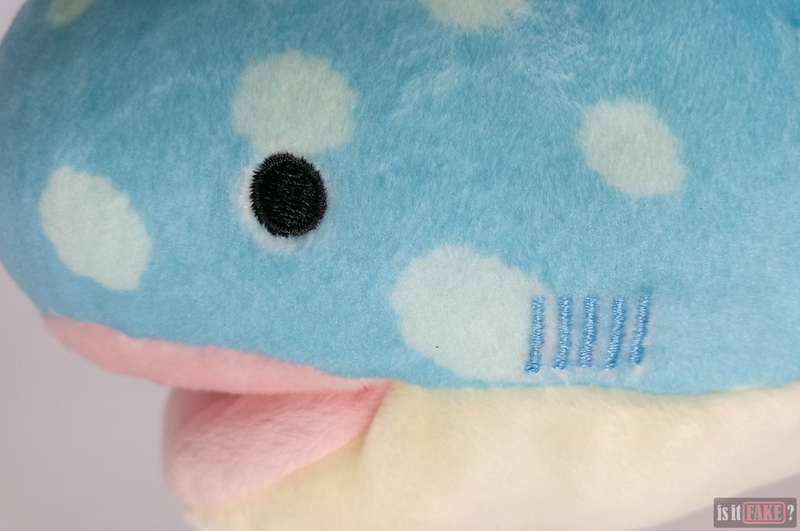 Fake Jinbei’s blue is a tad darker, so that the white spots stand out. 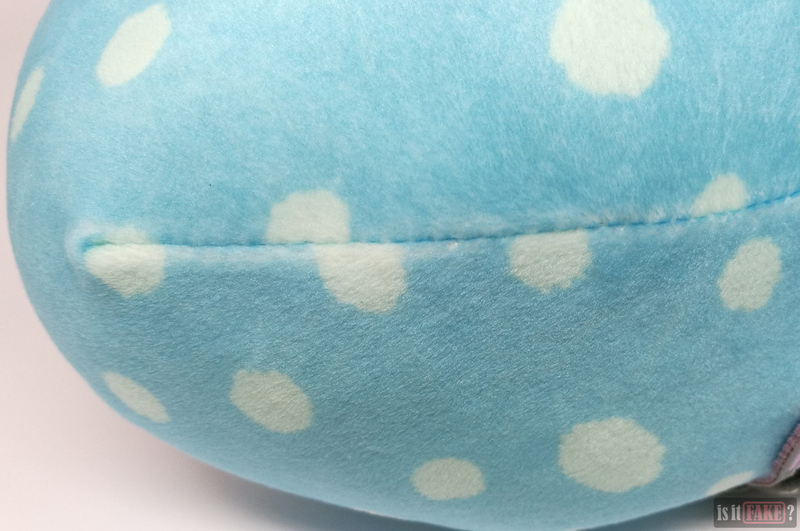 The shade of real Jinbei’s blue is softer, allowing the spots to blend in nicely with it. Even his pinks are a more soothing pastel hue. 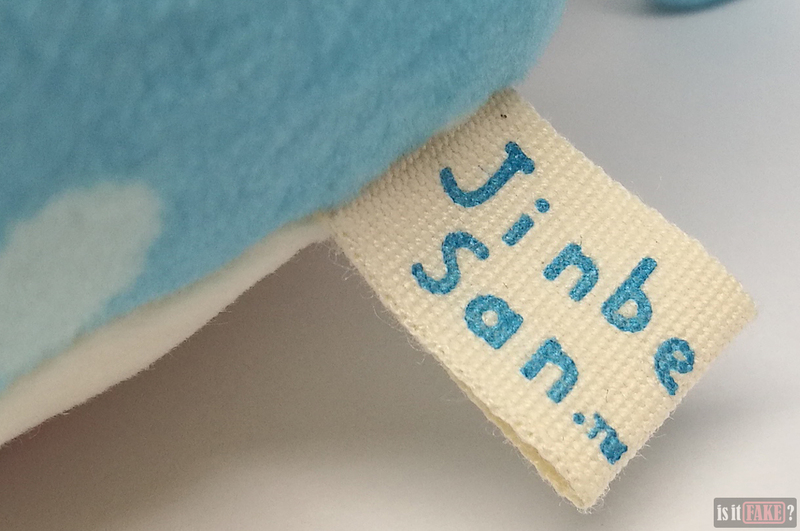 Attached to fake Jinbei is a tag that identifies the product and San-X. Too little, too late, however; on a better-made bootleg, this tag would’ve made the deception more convincing. 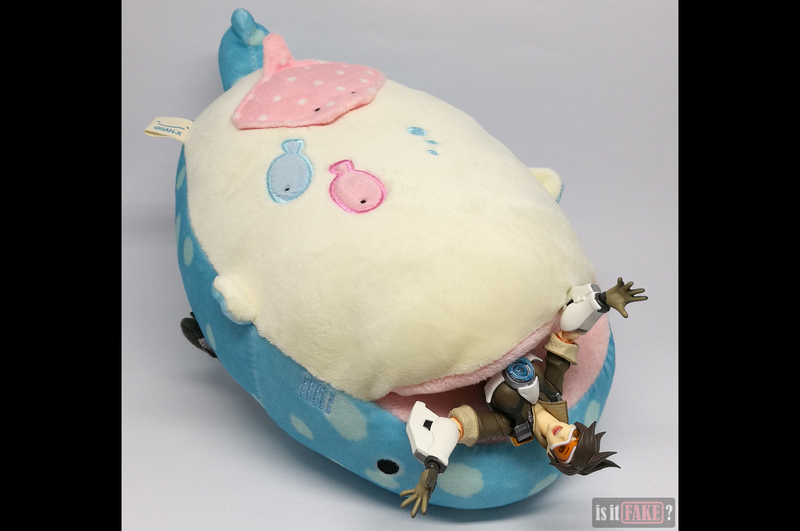 Fake Jinbei does get one thing right: the ability to stuff things in his mouth. 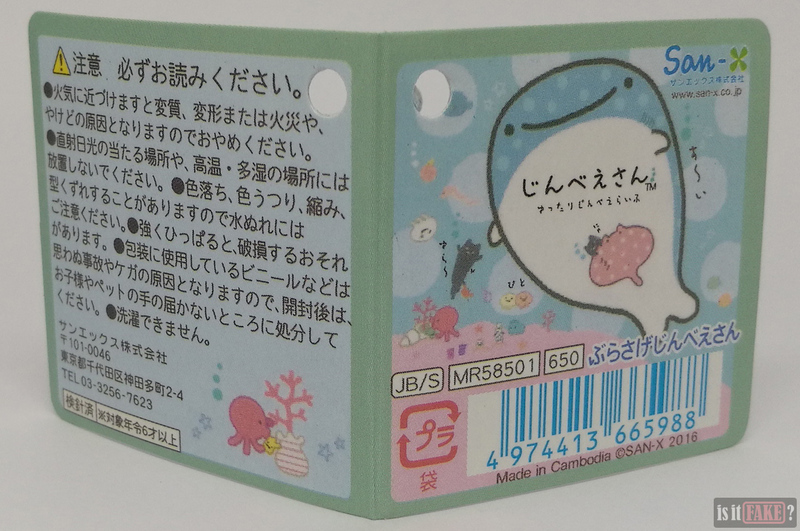 Fake Jinbei comes with a detachable card featuring Japanese characters. 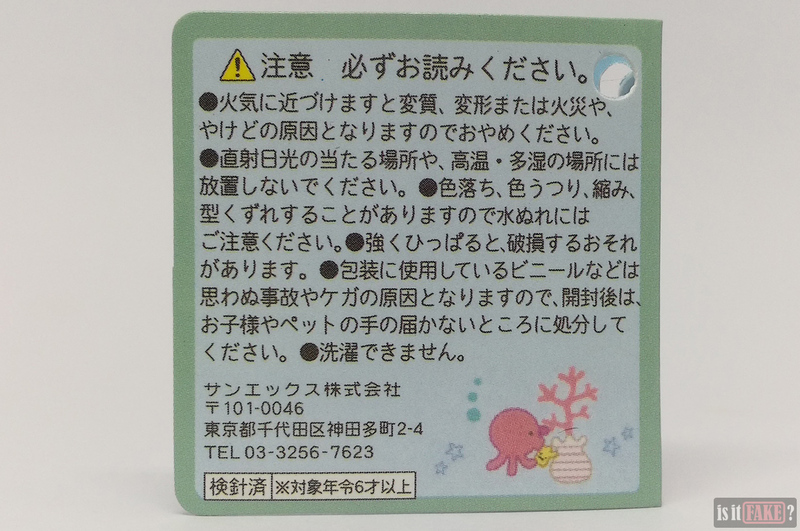 Because it includes a barcode, Japanese recycling symbols, and the manufacturer’s logo and information, this card looks extremely legit. 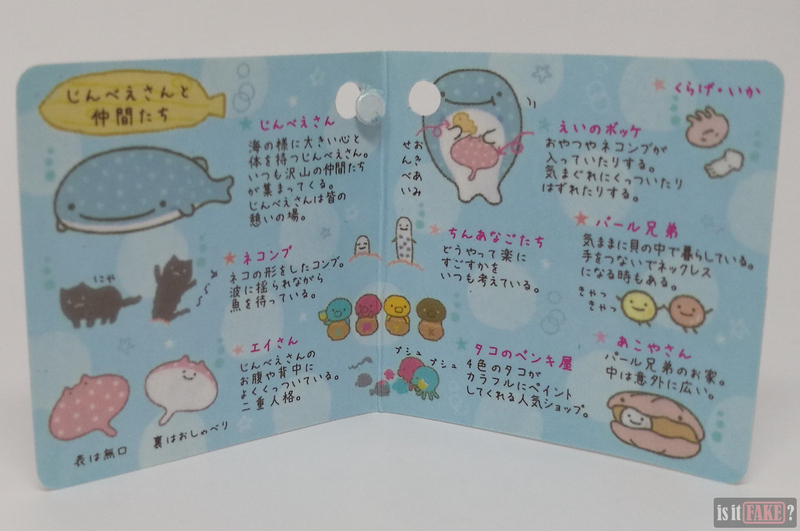 The interior of the card introduces various San-X characters, from Jinbei himself to his friends, including the aforementioned black cat and manta ray hitching a ride on his body. 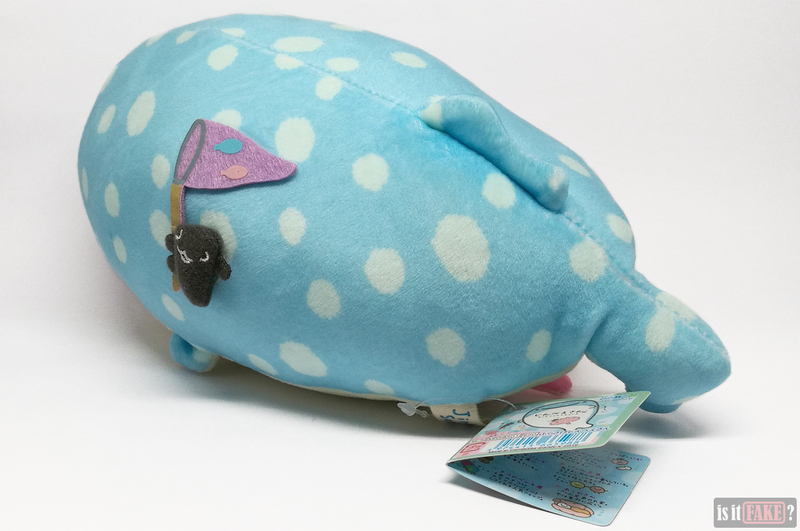 The left side of the exterior contains a bunch of instructions about how not to handle the plush toy. For example, you’re advised against washing and stretching the toy, as these actions might cause damage. What’s strange is that these instructions mention some sort of “vinyl packaging,” which suggests the product the card is referring to should have come in such packaging. 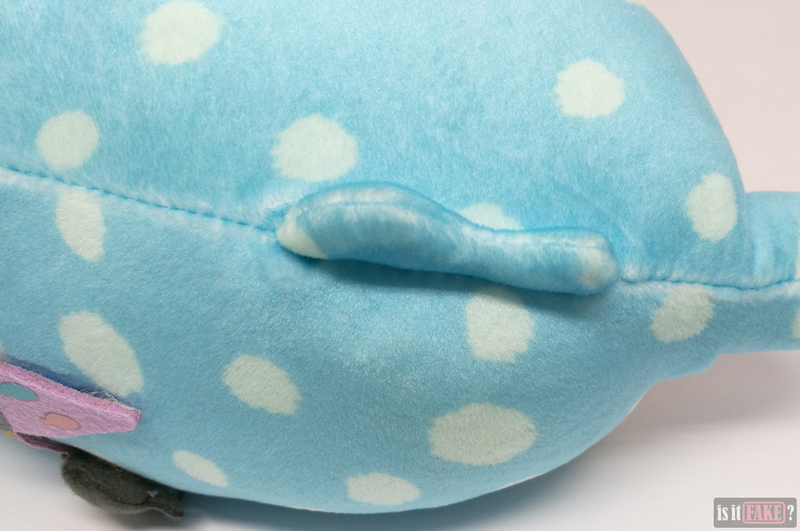 As we stated earlier, however, we received fake Jinbei only wrapped in plastic. Is it possible the card is speaking of a different stuffed toy? 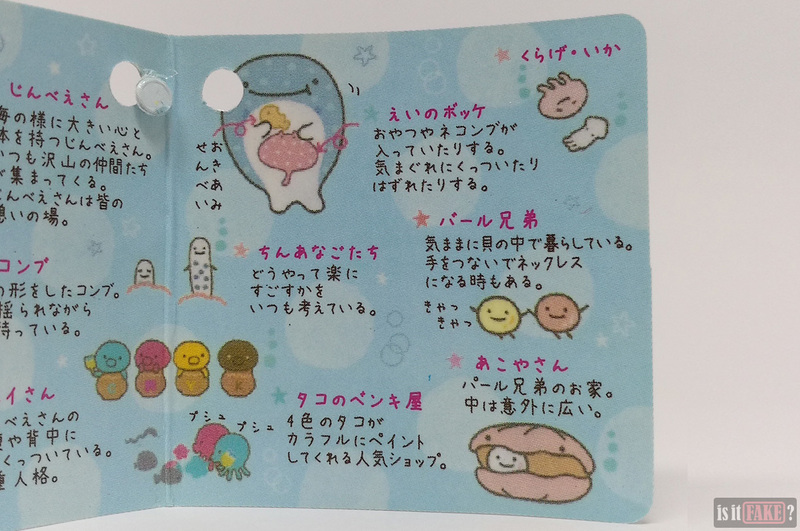 It turns out the answer to that is a resounding “yes.” When scanned, the barcode on the right side of the card reveals the truth: the instructions indeed pertain to different product – a tiny Jinbei plush keychain. 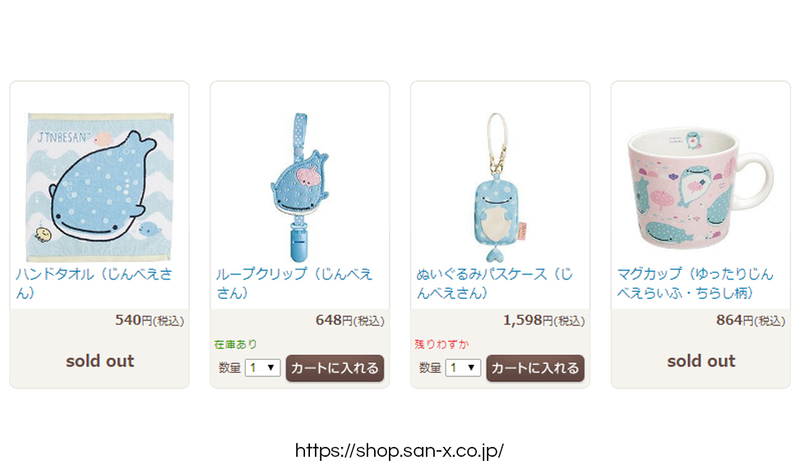 You can see said keychain here, in San-X’s official online store. 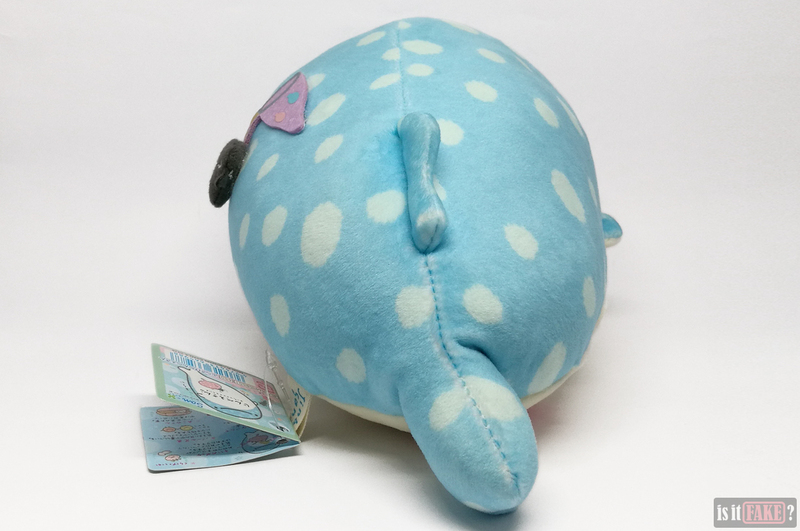 In other words, the bootleggers reproduced the keychain’s card and attached it to the wrong product in the hopes of tricking people into thinking they’re buying a legit plush doll. Of course, all it takes is a barcode scanner and some knowledge of the Japanese language to unearth the lie. 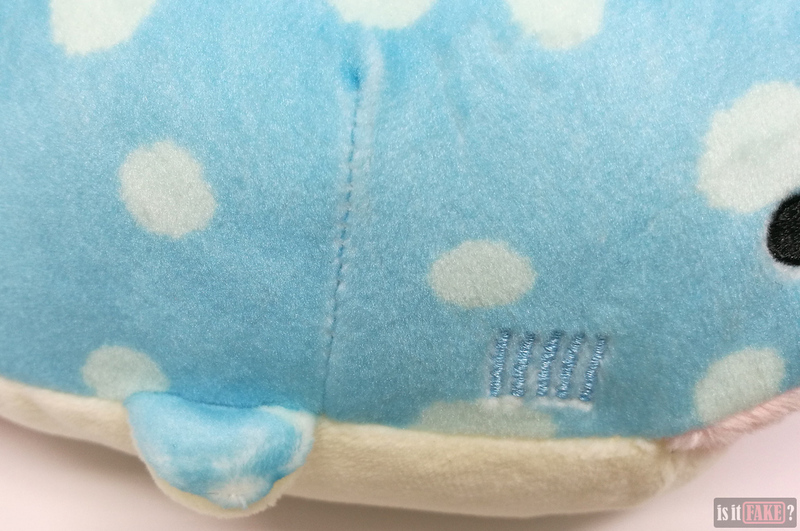 Cheap stuffed toys, particularly those made in China, are more likely to be tainted with toxic materials, from fire retardants to heavy metals such as lead and arsenic. Prolonged exposure to these hazardous substances have been associated with a number of health issues including but not limited to skin irritation, complications in the reproductive system, and cancer. 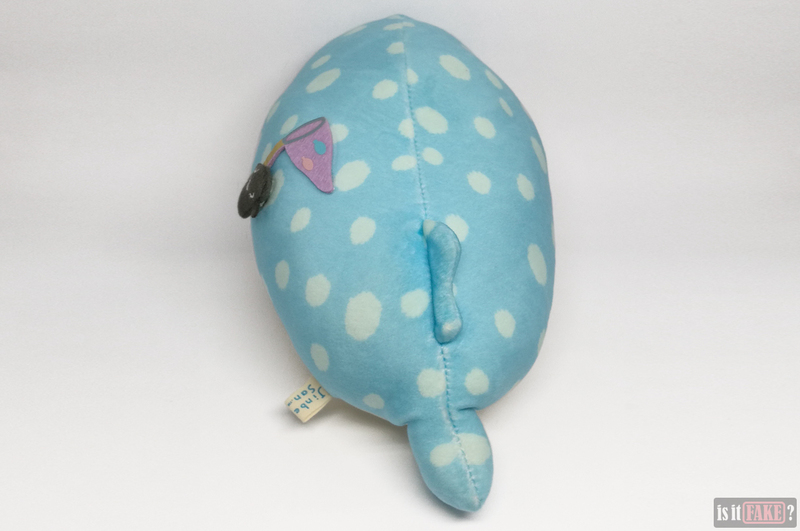 As very young children are in the habit of chewing, sucking on, and swallowing toys – which are the fastest ways to introduce these harmful chemicals into the body – tainted stuffed toys are especially dangerous to babies and toddlers. 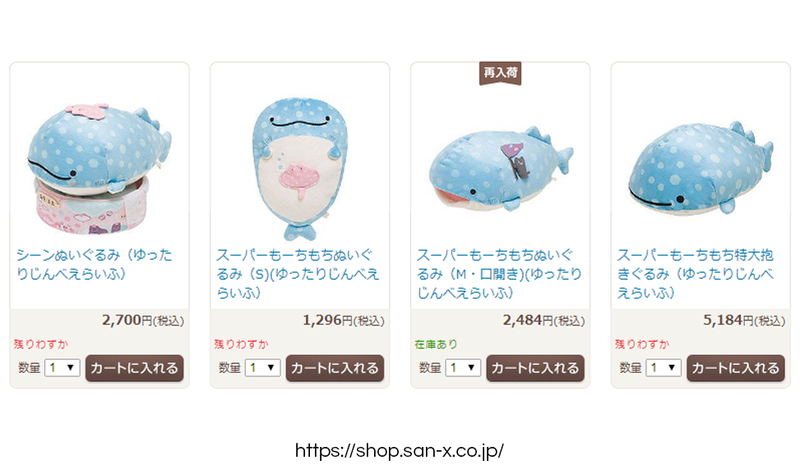 So yes, the official San-X Jinbei plush doll may be more expensive than the fake. 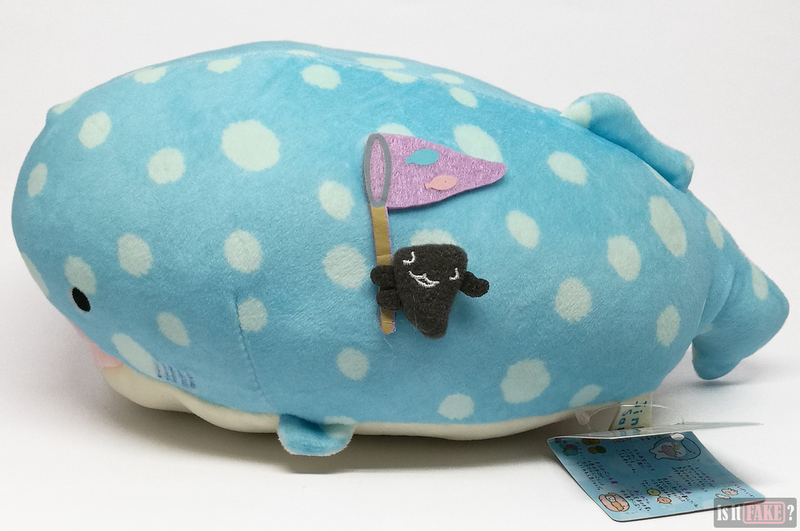 But what you’re paying for is quality, cuteness, and the assurance that Jinbei won’t give you cancer. There’s one amazing website you can visit if you’re looking for original San-X items: the official San-X shop. 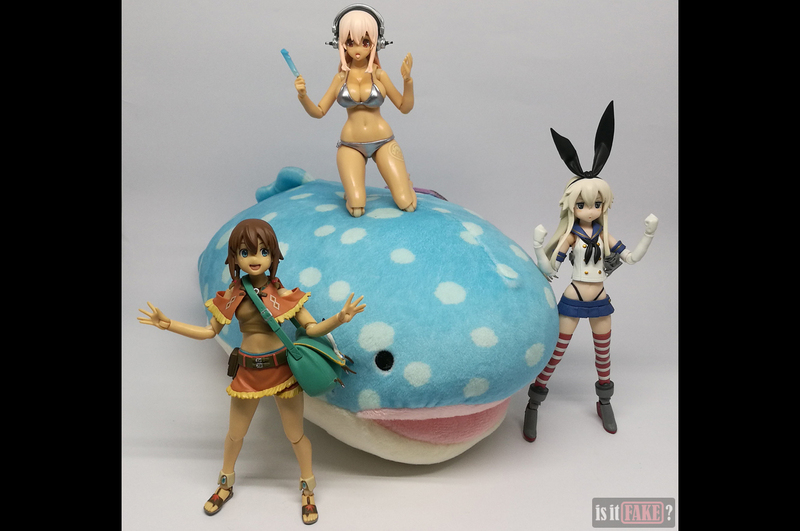 As the site is in Japanese, however, make sure to use a translator app (such as Google Translate) to convert all those characters into English. 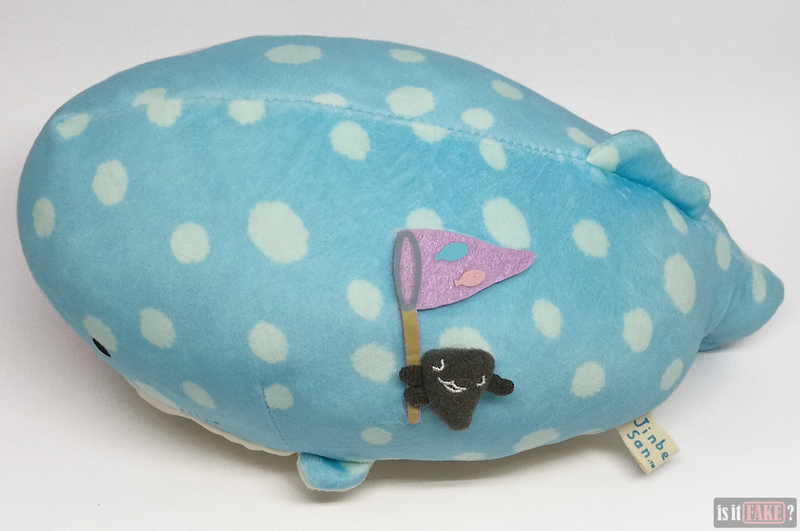 It’s no surprise you can find the official version of this specific Jinbei plushie design here. What’s even more awesome about this store is that it boasts numerous sections, each one dedicated to a particular San-X character. 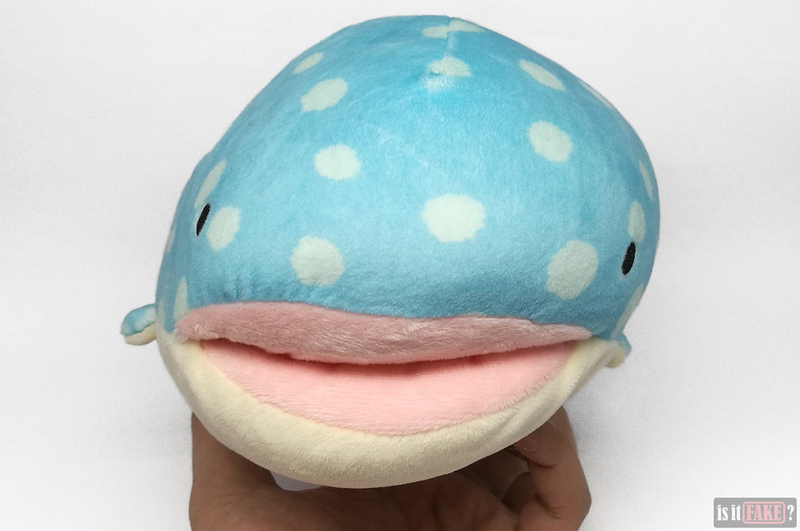 So if you want more of this friendly whale shark, just click on the Jinbei section to see a surplus of different plushies and other items related to the character. 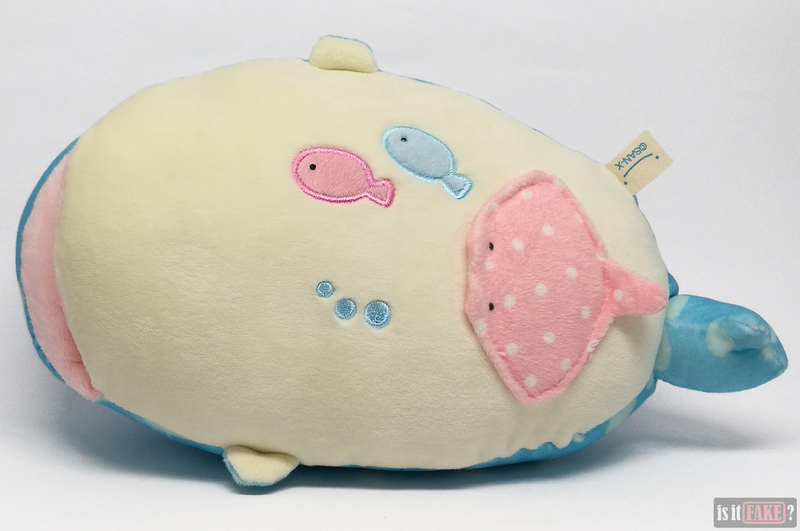 Be sure to check out the goods inspired by other San-X characters, such as Tarepanda, Rilakumma, and the Sumikko Gurashi. 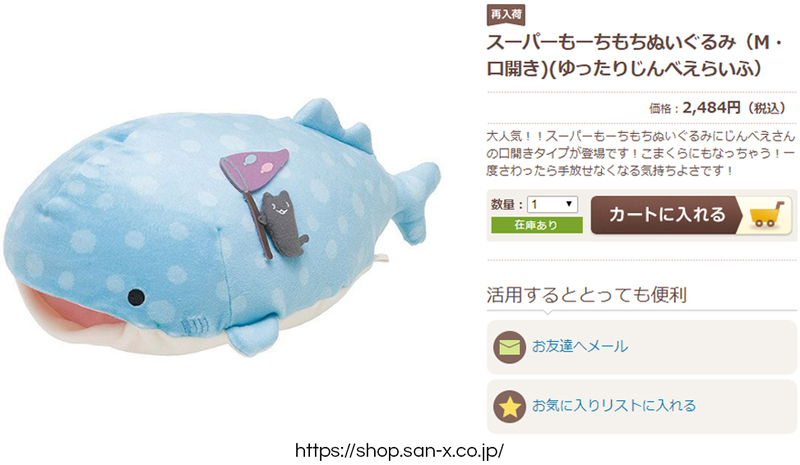 You don’t want this fake San-X Jinbei plush doll in your stuffed toy collection. 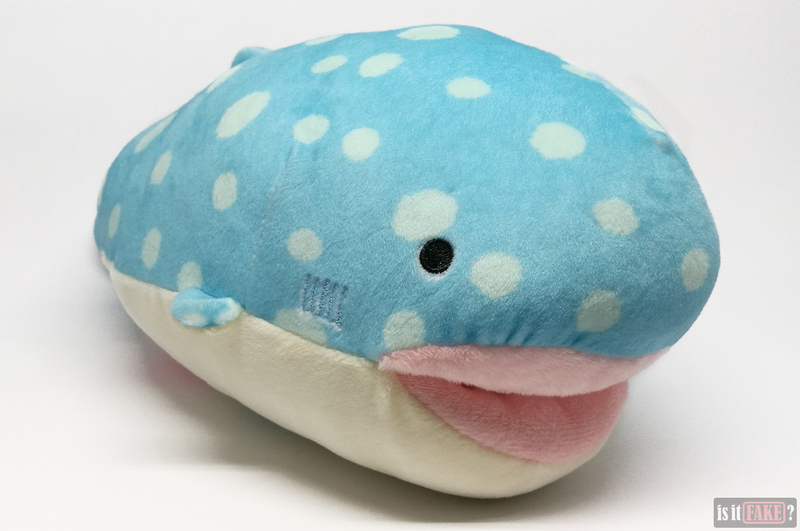 He’s a malformed, lumpy blob that barely resembles the character he’s based on, much less a real whale shark. And let’s not forget he’s another China-made bootleg, which could mean toxic substances were involved in his manufacture. 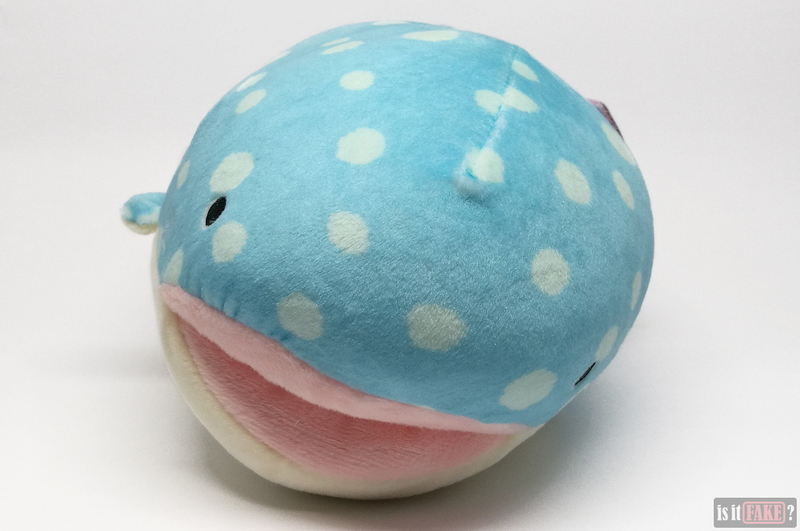 Fake Jinbei deserves no less than a 75% terrible score; do yourself a favor and give him a pass.